MCLEAN, Va., Oct. 25, 2018 /PRNewswire/ -- Americans are increasingly reshaping the role travel plays in their lives, making it purpose-driven and using it as a vehicle for deeper personal discovery. A recent study commissioned by Capital One® reveals an expanded definition of travel, one that not only changes where you are but who you are. The study from Capital One reveals top reasons Americans decide to travel include reconnecting with family and friends (88 percent) and discovering something new about themselves (74 percent). When coupled with travel goals that deepen an understanding of their destination through cultural discovery, Americans prioritize making meaningful connections over simple relaxation. 83 percent of Americans desire a sense of discovery when they travel, while 70 percent said it is important to have a purposeful experience as part of their travels. 87 percent say feeling "fulfilled" after their purpose-inspired trip is important and 82 percent aspire to describe trips as more meaningful to them and their loved ones. Inspired by consumers' increased desire to find reason and purpose in their travel experiences, Capital One is launching the Purpose ProjectSM, a conversation to showcase how people are rethinking the power of travel to change us. "At Capital One, we are always listening to our customers and looking for ways to better understand their needs when designing our products, such as our Capital One Venture Card," said Lauren Liss, VP of US Card at Capital One. "This research further reinforces our belief that straightforward travel rewards give people the flexibility to travel their way, allowing them to make connections and create memories that give our travels a true sense of purpose." 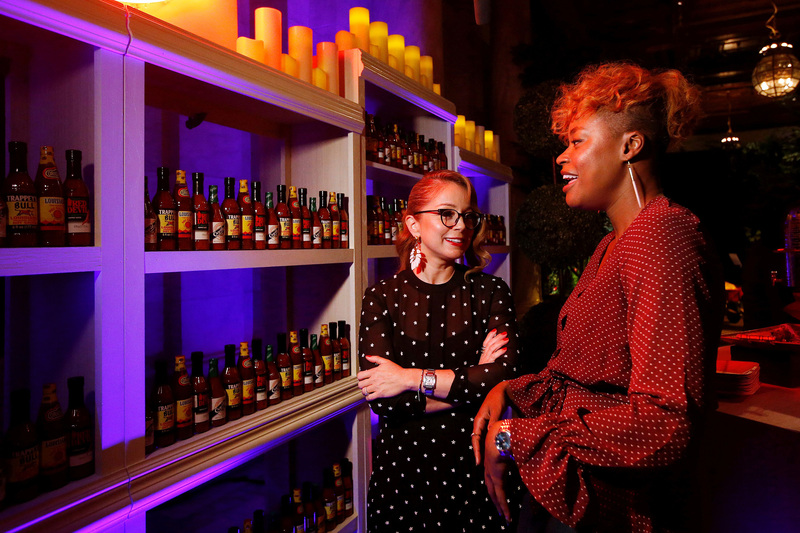 As part of the program, Capital One is announcing a partnership with Tastemade – a global entertainment company – to create a new linear series to foster deeper discussions about the impact of travel on our lives. The series will illustrate the power of purposeful travel through personal, real-life stories starring everyday people and celebrities, including award-winning actress, singer and co- founder of The Farm Project Zooey Deschanel, credit card expert Brian Kelly (aka, The Points Guy), chef Marcela Valladolid and more. "We hope the conversation will inspire you to create meaningful moments on your next trip by spending even more time experiencing local cultures and making authentic connections with those you encounter along the way," said Liss. At an event at The New York Public Library last night, the Purpose Project by Capital One kicked off with a conversation about purposeful travel and sharing #MeaningfulMoments. At the event, Deschanel, Kelly, Valladolid and travel storyteller and influencer Zach Houghton – founder of Passion Passport – discussed the research findings through the lens of their own purposeful travel experiences. From Deschanel's recent adventure to help reduce single-use plastics and their impact on our oceans, to Brian Kelly's trips bringing Nobel Peace Prize winners to mentor youth in Guatemala and South Africa, it was clear there truly is power in traveling, vacationing and venturing with a purpose. "As a chef and avid traveler, meeting new people and sharing a meal with the intent to learn more about their culture is important to me," said Valladolid. "When I heard that Capital One was fostering a conversation about natural connections that exist among all of us, bridged through our travels - I knew I had to get involved." 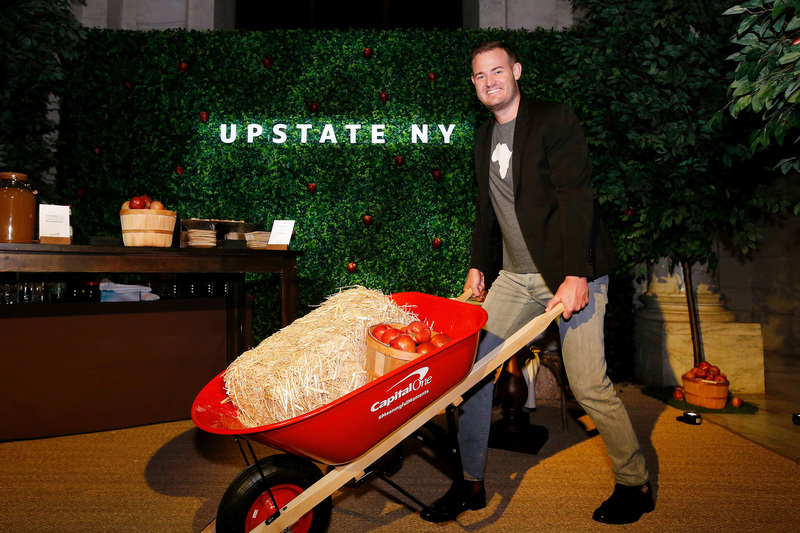 Credit card expert Brian Kelly will visit Upstate New York to immerse himself in the region's burgeoning art scene and be inspired by some of the fastest growing farm-to-table dining experiences in the country from a group of exciting up-and-coming cooks. 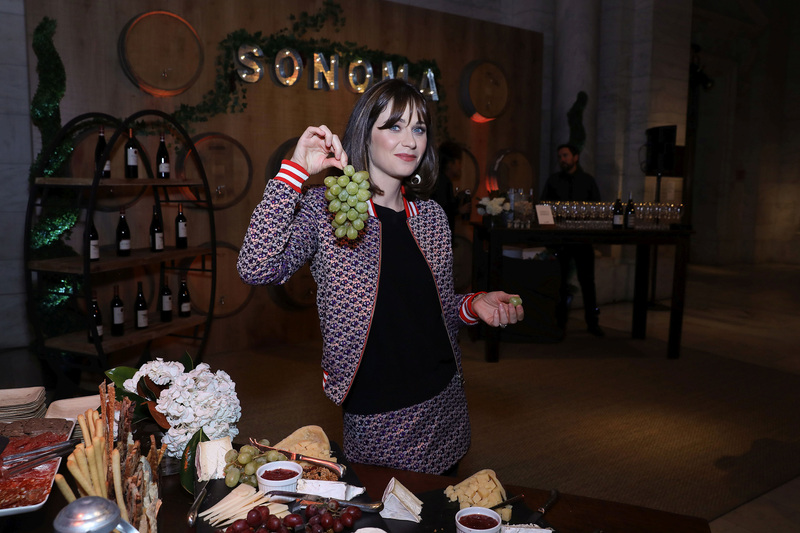 Zooey Deschanel's travels will include a trip to Sonoma Valley to continue her self-education on the importance of sustainable farming and the impact it can have on how we experience food and drink. Chef Marcela Valladolid's adventure will take her to New Orleans to uncover the city's diverse history and traditions that make up its many flavors of cultural influence, from food to music. "I can't wait to travel to New Orleans for the first time, with my friends at Capital One, to try the fantastic cuisine and explore a different culture – one that is so rich with flavor and tradition," said Marcela. In addition to the Tastemade linear series, the program will aim to inspire travelers by offering travel tips, tricks and hacks via a purposeful travel hub on Brian Kelly's The Points Guy website. The hub will feature highlights from the series, as well as original content from The Points Guy team and their travels around the world. To follow along, travel lovers are encouraged to check out the purposeful travel hub and follow #MeaningfulMoments for more. This survey was conducted from September 14-17, 2018, among a national sample of 2,192 adults. The interviews were conducted online, and the data were weighted to approximate a target sample based on age, race/ethnicity, gender, educational attainment, and region. Results from the full study have a margin of error of plus or minus 2 percentage points. The study was conducted by Morning Consult, a leading technology company revolutionizing ways to collect, organize, and share survey research data to transform how leaders in business and government make key decisions.